Rob Decker is a graphic artist and photographer who has spent over 50 years visiting the national parks in the U.S. When he was only 19 years old, he had the lucky opportunity to study under the renowned photographer Ansel Adams in Yosemite National Park. 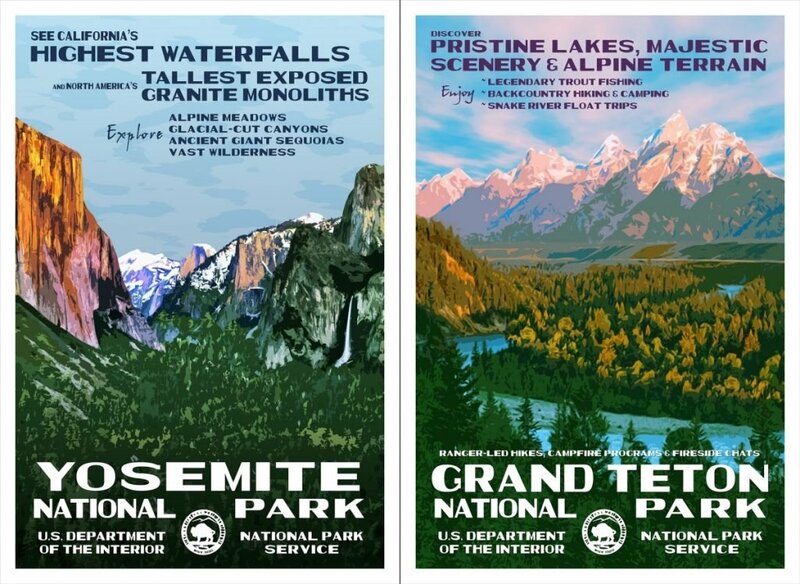 He’s now captured all of our country’s most iconic landscapes, from Delicate Arch in Utah to the wilderness in the Everglades, and designed them into original posters in the style of the historic WPA artwork from the 1930s and ’40s. 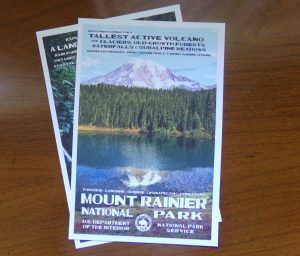 The images are available as 13″ x 19″ posters, printed here in the U.S. with soy-based inks on 100% recycled paper stock. Each poster comes numbered, signed, and dated by the artist. They’re also printed as postcards, artist proofs, and canvas prints. There are collections available as well if you want to own all of the graphics from a particular state or region. And Joshua Tree National Park Association, among others. 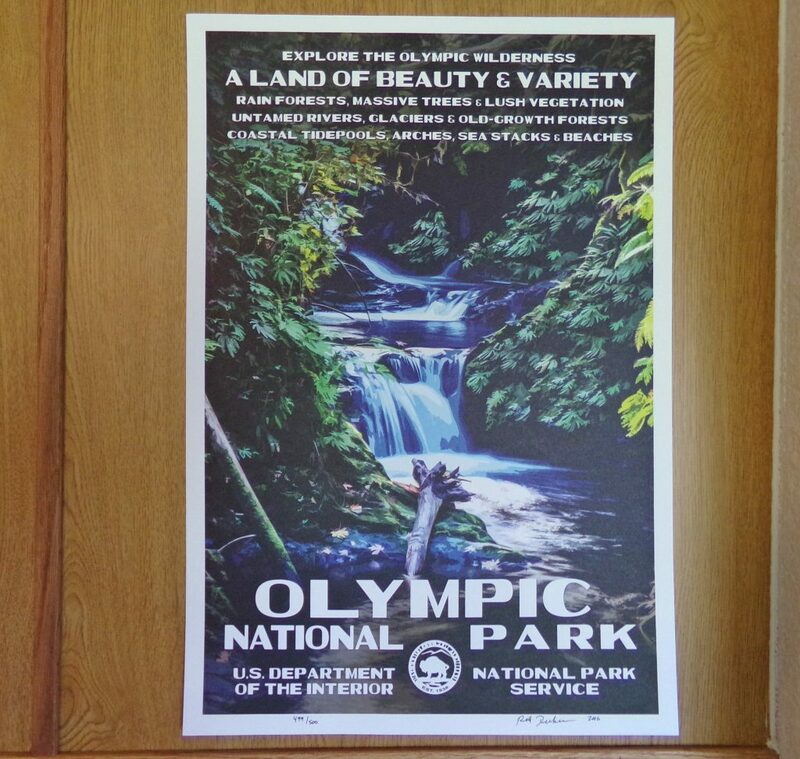 You can browse through all of his designs and find your favorite at National-Park-Posters.com. The posters are also readily available on Amazon. Some of the most popular options include: Grand Canyon, Yosemite, Grand Teton, Glacier, Zion, and Yellowstone. Yosemite National Park, Grand Teton National Park. Artwork by Rob Decker. There’s a WPA art museum in Mount Morris,NY that has an extensive collection- it’s on Murray Hill, is affiliated with the local Council for the Arts, and very close to the North entrance of the incredibly beautiful Letchworth state park- with its 650’ deep gorge.